A meeting of two giants. The Swiss-born artist was on board in adventures beyond the ultraworld and the Detroiter co-shaped ‘minimalism’ for global takeover. 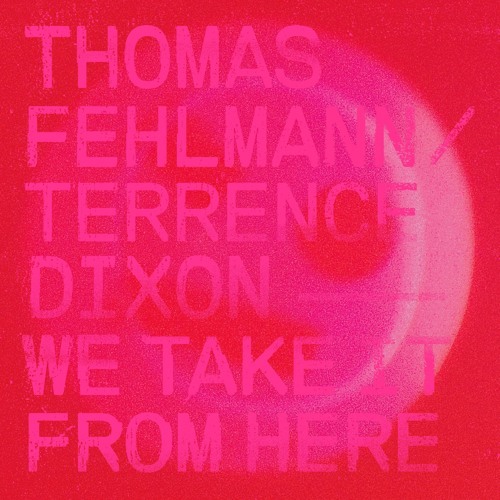 Now they are joining forces on Tresor Records, the label that after a quarter of the century in techno’s frontline isn’t a tiny bit tired and gives the floor to two acclaimed artists, Thomas Fehlmann and Terrence Dixon. Both deserve gratification for everything done so far, but they are still hungry and even Fehlmann – who could be a grandpa for a few young guns in techno – doesn’t think of having a rest. The same for Dixon, who turned very productive after announcing his ‘retirement’ in 2014. The six-tracker is a proof of masterclass. The opener “Dreaming Of Packard” is good for a spontaneous jam session, when two artists have inadvertently ended up in the same (recording) room. Kicking off with Dixon’s hermetic minimalism, the track gradually adopts undulating warmth where we could perceive Fehlmann’s fingerprints. Tanning in the metallic shine of a disco ball, “The Corner” aims straight to the dancefloor, as does another rhythmic groover “Patterns And Senses”. Cosmic themes appear in the album’s second half: After meteor-chasing in clear skies (“Strings In Space”), moody “Experiment 3” would fit Model 500’s tunes and for the finale, the ambient piece “Landline” lets the Earth turning into a small spot in the jetstream. 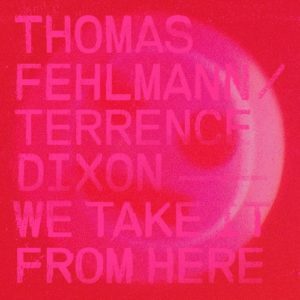 Fehlmann has performed in many collectives – to start with Palais Schaumburg -, but as I remember, Dixon has done a few split releases and can’t actually recall any collabs. In this respect “We Take It From Here” is not only musically a landmark.